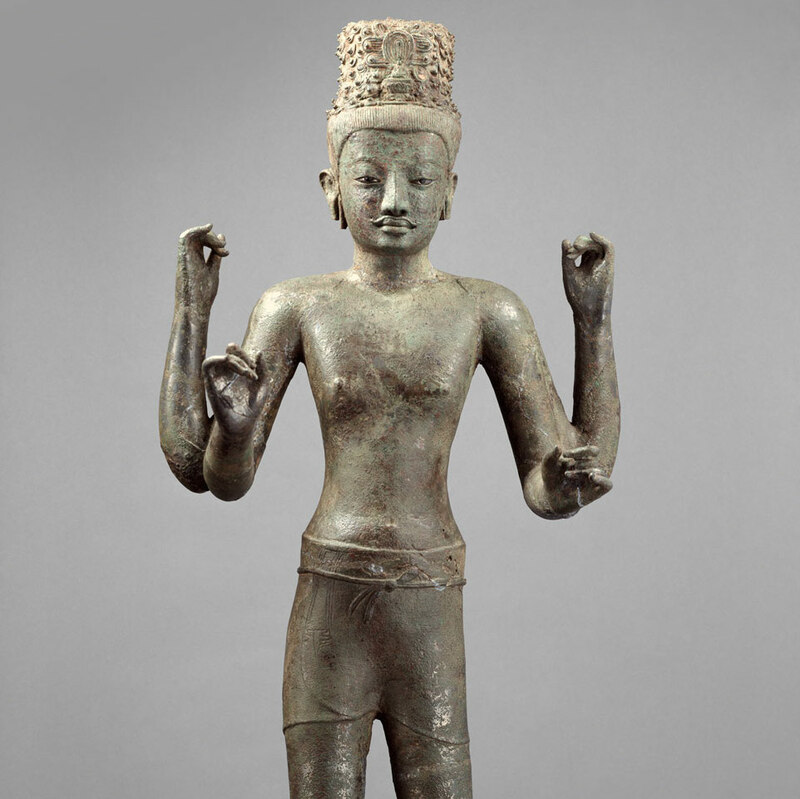 Four-armed Avalokiteshvara, the Bodhisattva of Infinite Compassion, Thailand, Metropolitan Museum of Art, New York. In the latest international patrimony claim against US collections, Thailand’s culture minister Veera Rojpojchanarat has called for the return of 23 antiquities from U.S. museums. The Kingdom of Thailand is seeking eighteen Buddhist statues presently in the San Francisco Asian Art Museum, the Norton Simon Museum in Pasadena, and New York’s Metropolitan Museum of Art. Materials: Sandstone, Courtesy Asian Art Museum of San Francisco. The bronze sculptures being sought are considered some of the most beautiful ever made in Southeast Asia. These bronze figures of the Buddha, of Bodhisattvas, Maitreya and Avalokiteshvara are renowned for their delicacy, grace, and expression, as well as the high technical quality of their casting and execution. Among the items announced as being sought from US museums were five stone lintels, each an architectural element taken from a temple site. 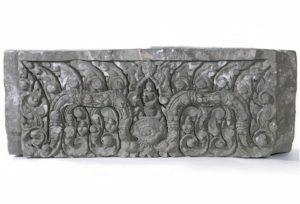 Two lintels are presently held by the Asian Art Museum of San Francisco: an 11th-century stone lintel from Prasat Nong Hong in Buri Ram and another Prasat Khao Lon in Sa Kaew (or Sa Kaeo) Province, Thailand. One of the lintels had been purchased by the museum from an unlisted source, the second had belonged to Avery Brundage, a Chicago industrialist, who donated his vast collection of 7,700 Asian artworks to the City of San Francisco on condition that the city build a museum to house it. The collection was gifted in stages, in the 1950s and 1960s and went first to a new wing built for it at the De Young Museum and then to the newly organized Center for Asian Art and Culture, which later became the Asian Art Museum of San Francisco. Lintel with Yama, deity of the underworld, Northeastern Thailand, Nong Hong Temple, Buriram province, approx. 1000-1080, Sandstone, The Avery Brundage Collection, Courtesy Asian Art Museum of San Francisco. Details on the majority of the artworks sought by Thailand were not publicly announced by the culture minister. However, Rojpojchanarat stated that included among the eighteen sculptures that the ministry is seeking is a spectacular 8th century bronze sculpture of Avaloketeshvara which was acquired in 1967 by the Metropolitan Museum in New York. It appears that many of the sculptures are from caches discovered by peasants approximately sixty years ago in sites in northern Thailand. 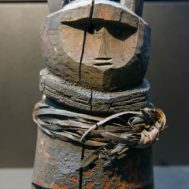 Based on the accession dates of the identified items and on studies published by Asian art scholar Emma C. Bunker in 1971-72 and 2002, these sculptures appear to have been dispersed to private and museum collections around the world within a few years of their discovery. The Kingdom of Thailand has not announced that it is seeking the return of similar sculptures now held in other foreign countries. Bronze sculptures removed from the same site, Prasat Hin Khao Plai Bat II, are now held by European museums including the Rijksmuseum Amsterdam and Musee Guimet, according to a 2002 article by Ms. Bunker. The National Museum at Bangkok has long been in possession of other sculptures from Prasat Hin Khao Plai Bat II, including an 11th century sandstone Buddha Sheltered by Muchalinda. The museum also has stylistically related sculptures from other caches located on the Korat Plateau, known as Ban Tanot and Ban Fai. The place of origin of the Metropolitan Museum sculpture has been a matter of scholarly dispute for over 50 years: the initial discovery was reported in The Illustrated London News on August 28, 1965. In 1971-72, Bunker published three views of the unnamed temple and images of the bronzes said to have been found there, but others, including Jean Boisselier and the Fine Arts Department of the National Museum in Bangkok were insistent on identifying them with another site, Prasat Lom Thom. A major article was published by Bunker in Arts of Asia, Vol. 32, No. 2, 2002, entitled The Prakhon Chai Story: Facts and Fiction that corrected Boisselier’s erroneous 1967 identification of the site of the find. In it, Bunker detailed her research on the pillaging of Prasat Hin Khao Plai Bat II and neighboring sites that was begun by local villagers in 1964, when a local spotted a bronze limb protruding from the ground after a heavy rainstorm. In the same 2002 article, Bunker also published detailed appendices tracking the sculptures to museums and private collections. When reached for this article, Bunker told Cultural Property News: “I’m amazed that Thailand didn’t ask for these pieces decades ago.” She credited student activists in northern Thailand for raising issues of repatriation prior to the Thai government taking any action. Thailand enacted its primary cultural property law in 1961, the Act on Ancient Monuments, Antiques, Objects of Art and National Museums, and a revised Act in 1992. At the time the objects were exported, the Thai law was quite flexible in enforcement and a great deal of antiquities trade took place (and has continued to do so). While sale of antiquities of Thai origin is restricted, antique art, even ancient art from other nations continues to be sold openly in Thailand, in multi-storied, air-conditioned malls such as the world famous River City shopping center in Bangkok. 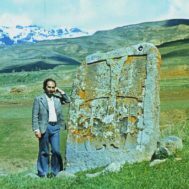 The 1961-1992 law gave the government authority to create, register, modify or cancel the designation of a particular site and its surroundings as a monument. It prohibits construction of buildings in the precincts of a designated monument. It allows private ownership of monuments and the collecting of fees to see them. It grants government officials the right to enter any monument to check its status and to seize an object suspected of being excavated from it. Antiques or objects of art buried in, concealed or abandoned within the Kingdom under circumstances in which no one could claim ownership are deemed state property under the Act. The finders must inform government officials and shall be rewarded with up to 1/3 of the value of the found property. Regarding privately owned antique art objects, the Director-General has the power, if he deems that any antique should be conserved as a national property, to give notice in the Government Gazette that it is not to be traded. If he deems that the object should be national property, then the Director-General has the power to purchase it. 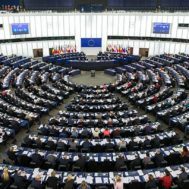 The Director-General also has the ability to give permission for sale of state-owned objects “in excess of need” to benefit state museums, or give them to the excavators as rewards. Licenses in objects “not allowed for trade” may be obtained by dealers. A license obtained from the Director-General is necessary for export. The Thai government has stated that it also is willing to return artifacts from other nations. This is somewhat of a gloss on the facts – only a tiny fraction of the most controversial artworks held in Thailand – those from Cambodian sites – have been returned to Cambodia. In June 2000, the Government of the Kingdom of Cambodia and the Government of the Kingdom of Thailand signed an Agreement to Combat Against Illicit trafficking and Cross-Border Smuggling of Movable Cultural Property and to Restitute it to the Country of Origin. Yet officially, Thailand returned only sixteen artifacts, all from a single seizure, to Cambodia in 1999, before the law’s passage. Ten years later, in 2009, another seven sculptures from the same seizure were sent back to Pnom Penh. It appears that neither the cultural minister nor the ministerial committee has suggested returning items from any of the major private collections of Cambodian artworks held today in Thailand to Cambodia. An art expert who wished to remain anonymous stressed that it could be dangerous to identify Thai private collectors of ancient art. He told CPN that he had seen large private collections that included significant portions of Cambodian temples, and dozens of important sculptural works in the homes and gardens of major industrialists and important military and government officials. However, he pointed out that this form of collecting is considered appropriate in Thailand and reflects a sense of shared Khmer heritage and a cultural identity that extends well beyond Thailand’s current borders. This article and all other articles on this website are solely for educational purposes and they are not legal advice.